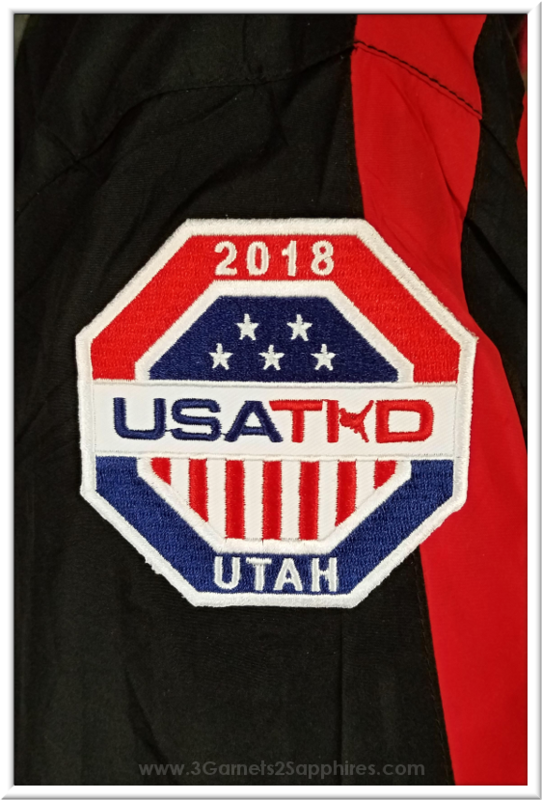 This past July, our oldest son competed in the USA Taekwondo National Championships for the third year in a row, and brought home a bronze medal for poomsae. I was so proud of him because, although he had earned a medal in sparring in the past, he had yet to medal in poomsae, which is his true passion. While at Nationals, we picked up some patches for his competition uniform and for his competition team jacket. We had the patch sewn onto his uniform by a local tailor for $5. Easy! Attaching the patch for his team jacket was not so easy. 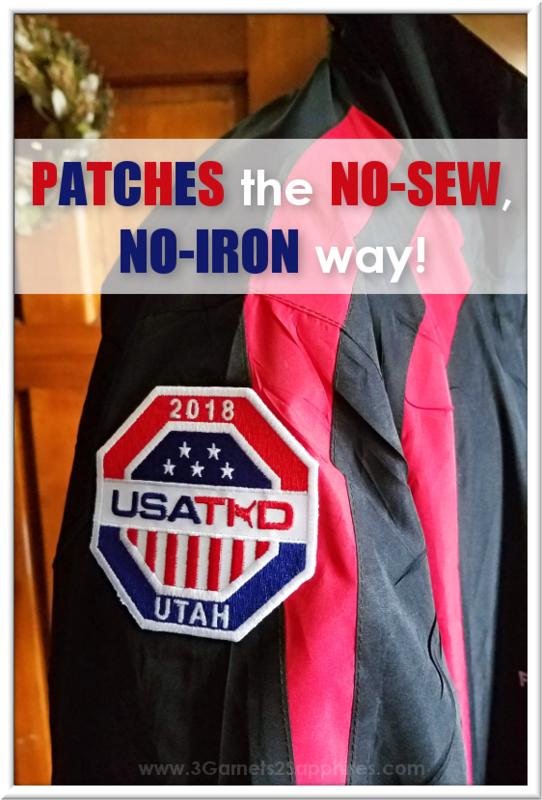 Since the jacket has a polyester nylon shell, I was told that puncturing it with a needle could cause damage down the road, and that it cannot withstand an iron hotter than 300 degrees. I researched the issue online multiple times, watched many tutorials, and even reached out to Sport-Tek, the manufacturer of the jacket. 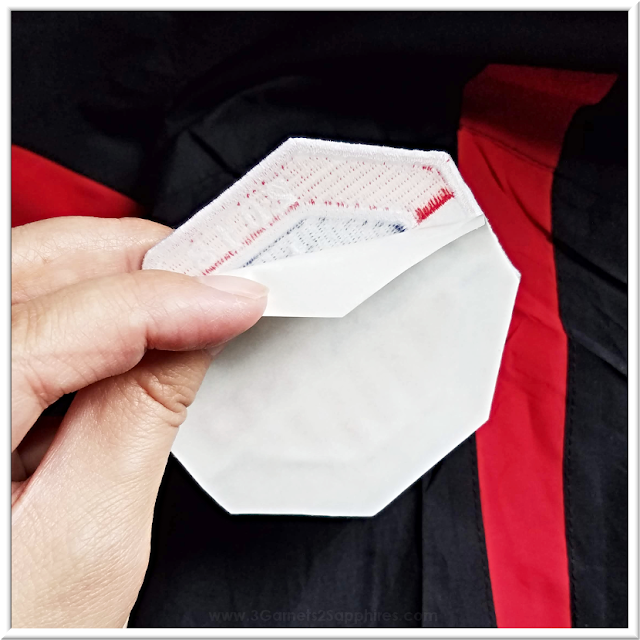 Still, I could not find a definitive answer about how to effectively and safely attach this patch, which has an iron-on coating on the back, to this polyester nylon jacket. I did not want to experiment with any iffy methods, and risk ruining my son's jacket. Then one day, in a last ditch effort, I tried to Google the issue again. I came across quotes from reviews on Amazon for a product that did not show up in my searches before, so I clicked through. The product was called Badge Magic. I read the reviews, and they looked very promising. Still, I did not see any that stated that this product would work on a nylon jacket using an iron-on type patch, so I asked the question. Several past purchasers replied that it should, but one finally replied with a definite "Yes!". That was what I was waiting for, so I ordered one sheet to give it a try. It worked GREAT!!! 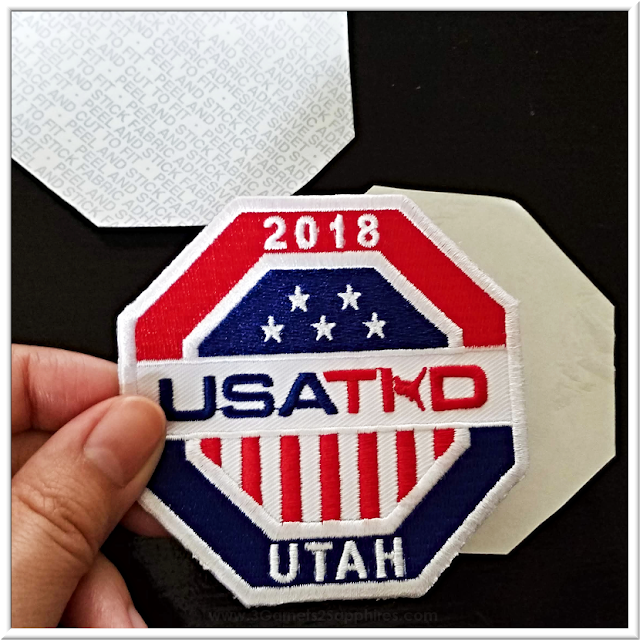 Since I had so much trouble finding the information I needed for attaching our patch, I wanted to share how easy this process turned out to be . . . TIP #1: Be sure the fabric item to which you will be attaching the patch is clean and wrinkle-free, if possible. Step 1. 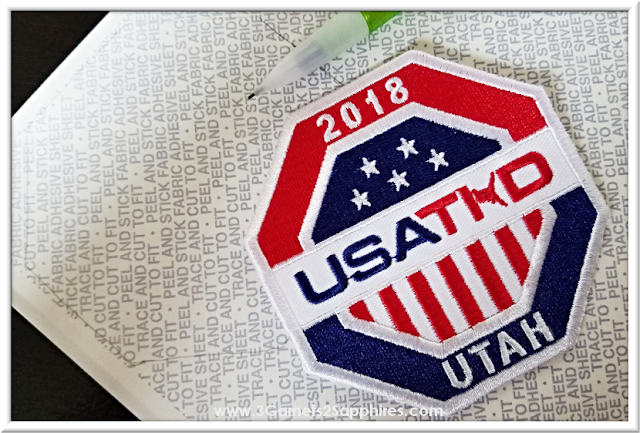 Place your regular or iron-on patch right-side up on the printed side of the Badge Magic sheet. 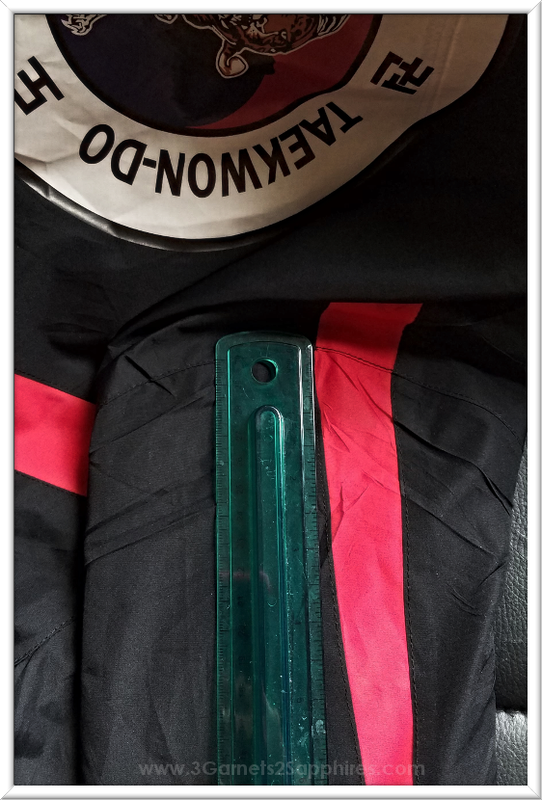 While holding the badge in place with one hand, trace the shape of the badge using a pencil with the other. TIP #2: Using an automatic pencil worked well for me because it gave me a fine line, and I was able to trace as close to the patch as possible without making any marks on the edges of the patch. Step 2. Following the outline you traced, cut out the shape of the patch from the Badge Magic sheet. Step 3. 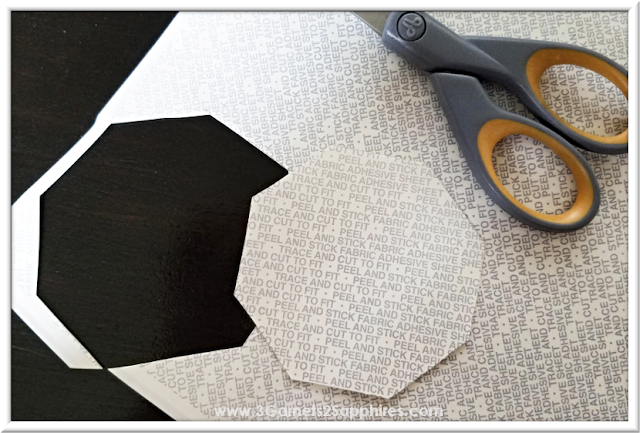 Peel off the printed backing from the shape you cut out, exposing the sticky surface. Step 4. Carefully position the patch right-side up on the sticky surface, trying to line up the edges exactly. Press down firmly to adhere the Badge Magic shape to the backside of the patch. TIP #3: The adhesive is extremely sticky, so try to be precise when attaching the Badge Magic to the back of your patch. It would be best to have an adult complete this step. Step 5. 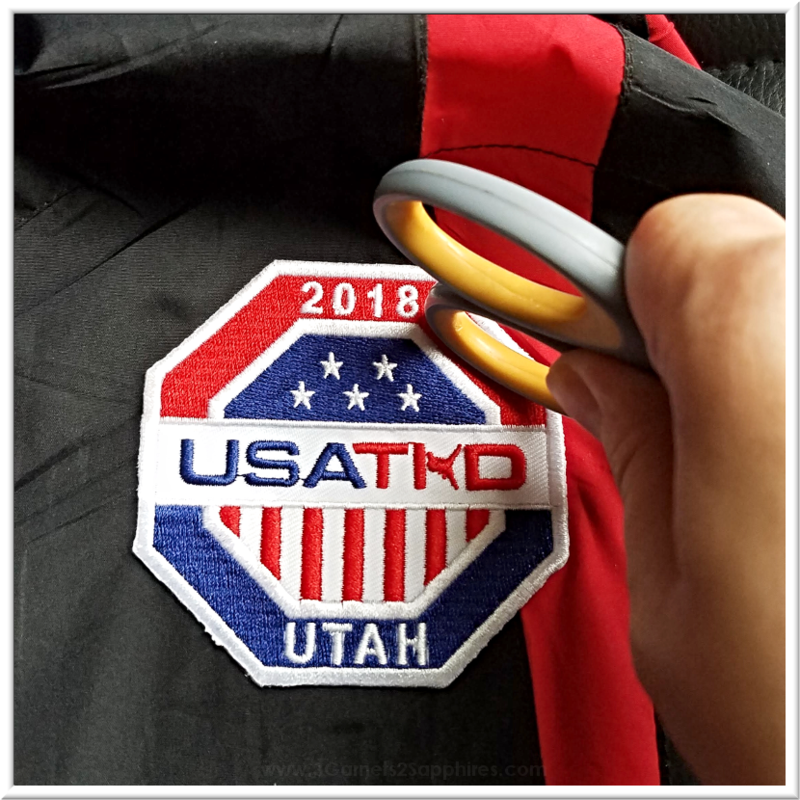 If the Badge Magic shape is larger than your patch on any of the edges, trim the Badge Magic shape with scissors until its edges match up with those of your patch. Step 7. Carefully remove the plain white backing from the back of the patch, exposing the second sticky surface. 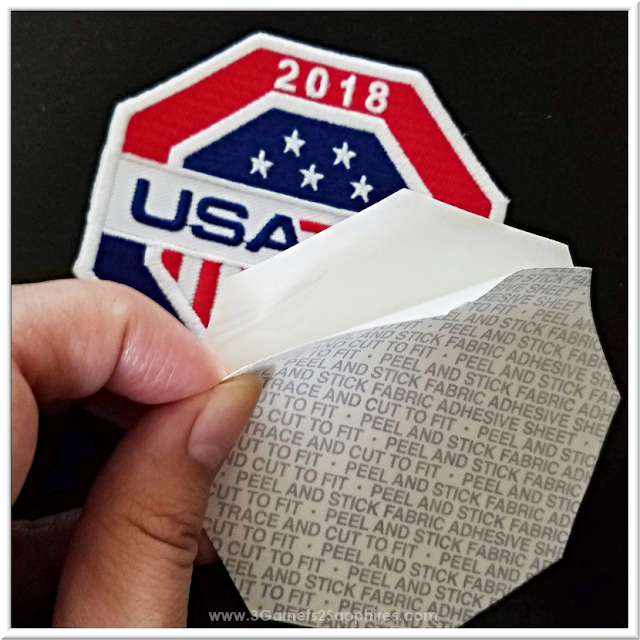 TIP #4: According to the Badge Magic instructions, at this point you should fold back any extra adhesive seen around the edges of the patch, however, if you had trimmed the Badge Magic shape (Step 5), then this should be unnecessary. Step 8. Position the badge in the desired position. When the position looks correct, press down firmly on the badge. Rub the handle of your scissors over the entire badge, especially the edges, to make sure there is a strong bond. TIP #5: Since my son's jacket has a nylon shell, like a windbreaker, it was shipped to us with creases all over. I did not have a way to remove these creases, so I used both hands to put tension on the area where the patch was to be placed to flatten the material while placing the patch on the jacket. That's it! The process was super-quick. The Badge Magic is said to be washable, but I have not tested that yet. My son's jacket is new and has barely been worn due to the warm weather. Below is the Badge Magic instructional video. According to the reviews on Amazon, this product works great for Boy Scout and Girl Scout badges too. What other uses can you think of for Badge Magic? Share your ideas with us in a comment here.